Penna Powers recently participated in Utah Food Bank’s Summer Food and Fund Drive and we’re pretty proud of our employee participation. We like a little competition here at P2—naturally—so we created a contest to finally determine whether U of U or BYU is the best school ever. Employees could bring in cans of food or donate to a virtual store. While the Cougars showed a promising start, the Utes ultimately came out victorious. The third barrel representing other darn good schools also had a nice showing. U of U raised $330 in virtual donations and 37 items donated. BYU raised $194 in virtual donations with 34 items donated. Other darn good schools raised $94 in virtual donations with 33 items donated. Overall, P2 employees donated $618 and 86 pounds of food. The agency matched $500 of donations to bring the grand total up to $1,118. For every $1 donated to Utah Food Bank, the organization receives $7.81 in goods and services. That means our $1,118 donation from the Summer Food and Fund Drive actually provided $8,731.58 in goods and services to the local community. Way to go P2! 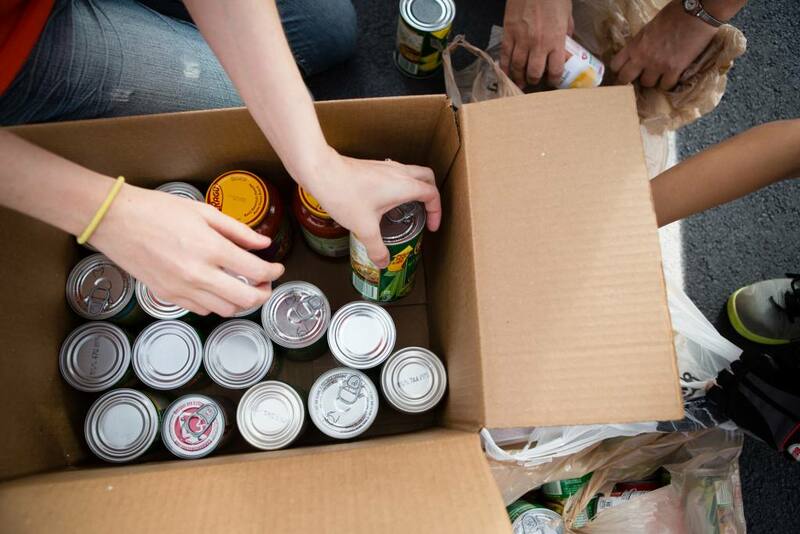 If you’re interested in hosting a food drive, learn more from Utah Food Bank.